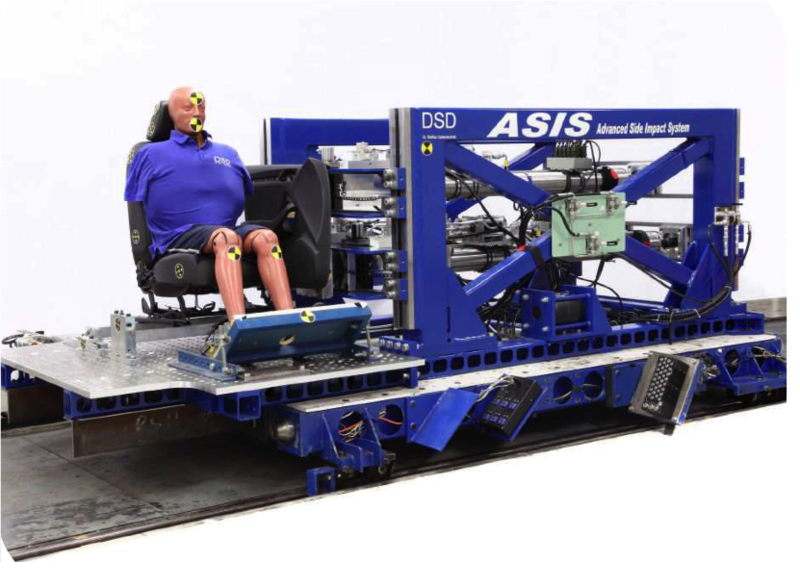 With the Advanced Side Impact System the performance of restraint systems can be experimentally simulated on a component level. The system exists of high-dynamic actuactos, the so-called intrusion cylinders. These cylinders are mounted adjustable in a stable frame. The actuators are producing during the test the instrusions, which are forwarded to the attached interior trim and airbags to the dummy itselfe. For the side impact tests on a component level there are structural parts of the door and pillars are collected to custers. This clusters of areas of the side structure are mounted on the intrusion cylinder. By this clustering the transformation of the real test to the equivalent component test is done. The side structure is cutted according to the clustering and reinforced, so that the these parts are reused in the tests. The interior trim is mounted to this structural clusters as on entity to the original connectors. The interior trim as one part does also guarantee the smooth transition between structural clusters.